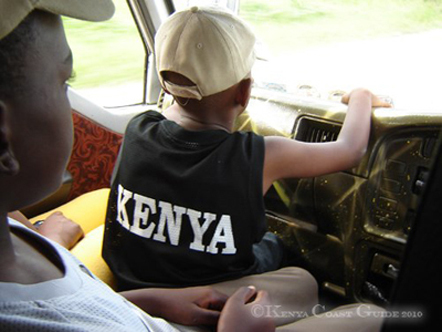 The “Matatu”, the minibus, is the most widely used means of transportation. All Matatus have fixed routes which are written outside the bus. 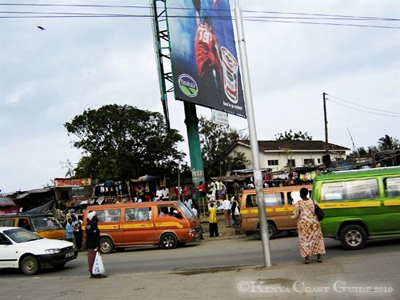 The cashiers also are constantly calling out the name of the route which makes it almost impossible getting into the wrong Matatu or in the wrong direction. For the case you are still not sure, just ask the cashier. He‘s easily recognized by his dark red dress. The fare is collected at anytime on the way. The cashier knows exactly when and where you get on the bus. When he asks for the fare just tell him your destination, which can also be a hotel. 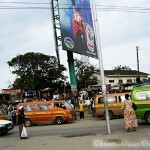 For this purpose, always try to have coins and small bills (not above 100 Shilling) with you to have the fare matching. Never rely on correct change, if you do you will pay double. 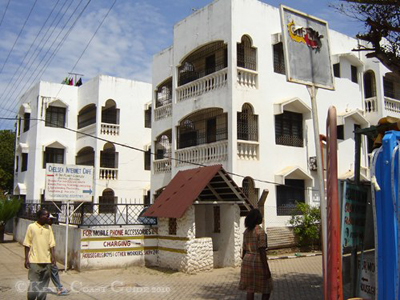 A trip from downtown Mombasa to Mtwapa for example, costs 100 Shilling – to Nyali (Nakumatt Nyali is a shopping center and a large bus stop), which is about half of the way and therefore 50 Shillings. It is of course not completely free of danger being on the road in a Matatu. There is no technical controlling system like MOT in Kenya and therefore, you might see sometimes busses without a single working light driving around in the darkness or the door falls towards you while opening it. These lacks are only the obvious ones. From the outside no one can judge the condition of brakes or other important technical parts. Some of the busses shouldn‘t be on the road any longer at all. But this is Africa – here a vehicle is driven until it really doesn‘t move. Sometimes it‘s better to skip a Matatu and take the next one which is not running that rickety. In a Matatu you also should pay attention to your stuff because poverty creates thieves and in a white person people see wealth first. Don‘t wear jewelry and keep your bag in front of you on your lap. Do not put your wallet in back pocket. If you are rich or not, for a Kenyan – for all Africans – you are. Because you are white. However, you will not see a potential thief everywhere you go. You also meet people who are trying to protect you – Cashiers for example – who don’t allow somebody to sit beside you, as a precaution against a possible thief. Most people are well aware that the whole society benefits a lot from the vacationers if they feel comfortable and so the tourism industry is getting better. For the case you don’t feel safe or comfortable enough in a Matatu, there are still taxis. Here there are several private companies – but it is absolutely necessary to negotiate the fare before the ride. A trip from Moi International Airport to Mtwapa, that‘s about 30-40km, can take to an hour during the rush hour and costs about 2500 Shilling. 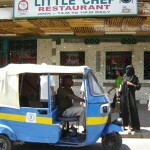 Tuk-Tuks are another means of affordable transportation. 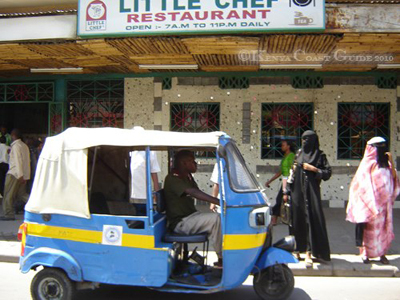 Especially for smaller city tours, capacity is up to three people carrying two-stroking tricycles are ideal. Although, in that two-stroke engine is also a drawback: They are not really quiet and the suspension shouldn’t be allowed to be named like this. But for this you just pay 50 Shilling (three people a little more) for a tour around downtown – of course not for the whole day – but it is not recommended anyway to sit in a Tuk-Tuk for longer than 20min. 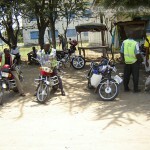 Border-Border is how they call the motorbike-taxis in Kenya. The name comes from a time when Kenyans had to carry a passport, when they were doing trade across the border to Uganda. 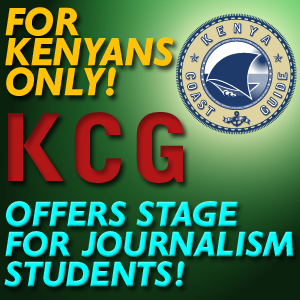 But Kenyans rarely are in possession of a valid passport – for reasons of cost. The busses and trucks had been inspected without exception and therefore the highways. So the people began to load the motorbikes and organized the trade over small roads across the jungle. The drivers are transporting mothers with up to three kids plus their bags, you can even see up to three adults riding those 125er bikes from Chinese or Indian manufacture. According to this, the technical condition and life expectancy of these bikes are not very high. Generally you should be careful, whether Matatu, Tuk-Tuk or a Border-Border, in what condition the vehicle is, you want to go with. As you can assume, drivers mostly are not insured against personal injury, so you always go on your own risk. 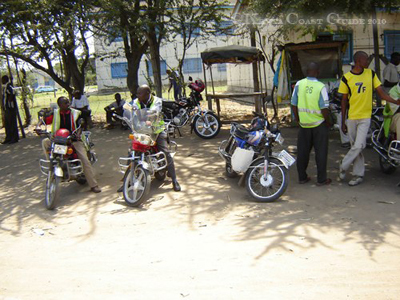 The fare of a Border-Border is comparable to the one of a Matatu, depends on the distance and is negotiable. Emigrating is the dream of many Europeans and there are various aspects that makes Kenya quite attractive. 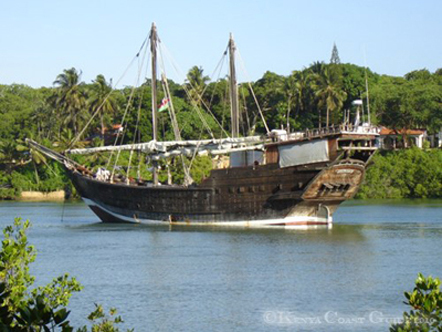 First of all there is this pleasant climate and the friendly character of the local people. Life down there can be very cost-effective, or on a European level with all kinds of goods you are used to. Kenya has a stable government and its democracy is one of the most advanced in Africa. A referendum to vote on the proposed constitution was held on 4 August 2010, and the new constitution passed by a high turnout of about 70% without any widely feared riots. However, this new constitution also contains a land reform, which doesn’t allow foreigners to own land for all eternity but can lease for 99 years. 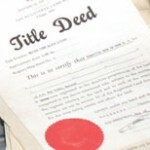 For those who wants to inherit property must be married to a Kenyan. The property market at the coast suits every budget and taste – whether to rent or to buy – from a small appartment to luxury villas with a private beach and dock. The supply is rich and the demand is there, and accordingly there will be constructed diligently everywhere. 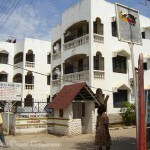 Appartements to rent with one bedroom are available for less than 200 € month. The size of an appartment is always shown on the number of bedrooms.The kitchen is often a separated area for dining- or livingroom, which is not especially mentioned, as a standard as well there are tiled bathrooms with toilet. To protect the privacy of the owners no pictures of villas or detached homes can be shown here, only appartment buildings. 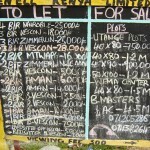 Estate Agents offer their properties oftenly in a quite unconventional way – simply written on a black board. There is almost no construction site without offers. Bulletins on notice-boards in shopping malls are also common practice. Of course you will also find property ads in the weekend issues of the local newspapers. For the more exclusive properties there are also high-glossy magazines. When purchasing a property you should always be cautious and be sure to work only with absolute reputable estate agents. It’s a must to have a lawyer of your trust being present at each meeting. 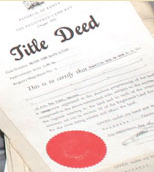 Inform yourself about the legality of the concerned Title Deed at the Land Registry Office in Nairobi, since there are oftenly multiple documents for the same property and then the holders attempt to claim. 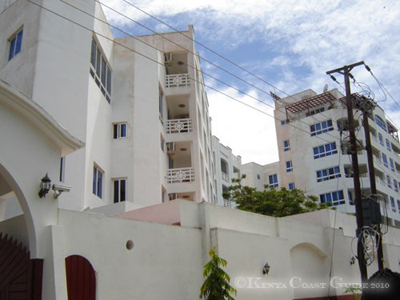 The safety guards, simply called ’Security’, are included in the monthly rent. It’s common to pay 2-3 rents deposit and notice periods can be negotiated individually. 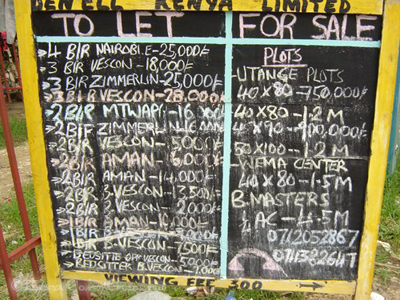 For an inspection date the agents require a fee of a few hundred shillings. The prices for real estate are very different. Like in Europe or USA, the price of a property is mainly defined by the location, the size and the equipment. A detached villa in a privileged location can be as costy as a comparable property in German cities like Stuttgart or Munich. Safety is the key here. The driveways to such villas are inside restricted areas and there is surveillance at all entrances. 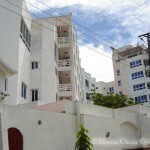 Access will be only allowed to residents or known persons. Visitors must indicate name and address will get a visitor pass that has to be handed back by leaving the area no matter through which gate one is leaving.